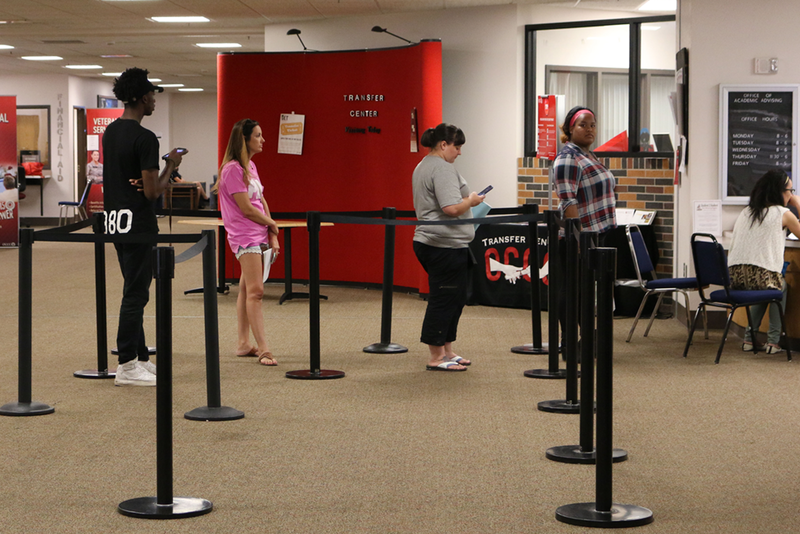 Enrollment at OCCC could be down by one to two percent this fall, a school official said Tuesday. Each percentage unit is estimated to be the equivalent of anywhere between 100 and 130 students according to OCCC Senior Research Analyst Matthew A. Eastwood. This means that at three percent, there is a deficit of about 300 to 390 students. He said projections show fewer students enrolling for the fall semester. Eastwood reports the college’s demographic numbers to the Oklahoma Regents for Higher Education. He said factors can include the state of the job market and national economy as well as tuition increases. 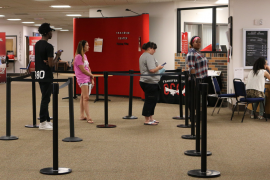 The estimated student headcount for the fiscal year 2016 was about 31,406 according to OCCC’s Planning and Research department, a decrease of 2.62 percent from FY 2015. “At this point the numbers are changing constantly, last week we were down four percent and this week we’re only down by three (percent),” Eastwood said. After two weeks the full refund course-drop window closes. Students who remain enrolled are considered to be committed to attending classes. The official numbers are then gathered and calculated two weeks after classes start.